Aer Lingus recently unveiled its new brand and aircraft livery in Dublin as it seeks to become a truly global carrier. The airline is aiming to become the value airline of choice across the Atlantic, bringing ever increasing numbers of America and Canadian guests to the Emerald Isle. Speaking to Breaking Travel News in Dublin during the launch, Niall Gibbons, chief executive of Tourism Ireland, tells us the strategy chimes perfectly with his ambitions for the sector. “Aer Lingus are a great partner for us – we launched a new campaign with them last month called Fill Your Heart with Ireland. “That has been very well received. “Today is another step in that direction, with the Shamrock on the new livery of the plane being very suited to our ambitions to promote the destination,” he explains. The carrier – which will roll out its new livery over the coming years – is the main route of entry for many travellers and it seen as synonymous with Ireland as a tourism destination. “Aer Lingus would account for about 40 per cent of all the people arriving into Ireland – making the carrier a vital partner for us,” adds Gibbons. In North America, a new key focus for Aer Lingus, the picture has been one of almost constant growth, as increases in airlift make visiting Ireland easier. Gibbons continues: “When you look at the distribution of tourists into Ireland over the last couple of years, the North American market has been exceptionally strong. “We moved have moved, over the past seven years, from having ten gateways in North America to 24. “If you went back ten years ago, we had New York, Boston and Chicago, the traditional gateways, but we now have Miami, Philadelphia, Seattle, and San Francisco. “This has opened up a whole new audience for us. However, the motivations of these travellers have also changed, points out Gibbons, with older visitors, perhaps tracing their family tree, being replaced with a more fleet-footed younger holidaymaker. “What we are finding now though is that only about a third of people coming to Ireland from the United States have an ancestral connection – this used to be 70 per cent,” he adds. “What we have seen today suggests there is a new and emerging group of people who find Ireland interesting and are interested in coming. “The ease of air access makes it possible for them to do so. Gibbons is also keen to stress how the developing transiting market helps Ireland as a tourism destination, even if guests do not leave the airport. “Aer Lingus has opened a whole new market for Ireland, not just those who are travelling to Ireland, but those who are transiting to Europe,” he adds. “If you take a route like Boston into Dublin, which did not run over the winter before, it now runs year-round as it now serves further markets across Europe. But there is more to come, with further expansion also in mind. “There are a whole range of destinations in the United States that have the capacity for expansion – places like Texas,” continues Gibbons. “American Airlines are going to open Dallas into Dublin, but there is more potential there, it is an incredibly opportunity for Ireland. As a destination, Ireland has also been diversifying its source markets. Last year 11.2 million people visit the island of Ireland – an impressive figure given that the population is about six and a half million. This year mainland Europeans are expected to spend about €2.1 billion in Ireland, while North Americans will spend about €1.9 billion. British visitors will spend about €1.5 . “Emerging markets, like China, are important, they are growing very rapidly, but from a very small base,” continues Gibbons. “We now have air access to Hong Kong with Cathay Pacific and Beijing with Hainan Airlines, with a third China route expected to be launched in the coming months. “That said, the British market is still our bread and butter – 4.6 million people came from Britain to the island of Ireland last year, spending €1.5 billion. With the British political situation politely termed as ‘in flux’, Gibbons is also quick to downplay any potential negative impact of the ongoing Brexit saga. “There are 230,000 seats every week into Ireland from the UK with eight airlines – and this will not change as a result of Brexit, whichever way it is resolved. “There are ferries offering 40,000 car spaces every week and that will not be changing this summer. With key partners also well placed to weather any storm, there are few concerns. “We have been talking to out key partners, like Ryanair and Aer Lingus, and they are seeing no impact, the same with Irish Continental Group and their brand Irish Ferries. “The latter has a new ship called the MV W.B. Yeats – which is the size of a football stadium – and they are building capacity on routes between the UK and Ireland. 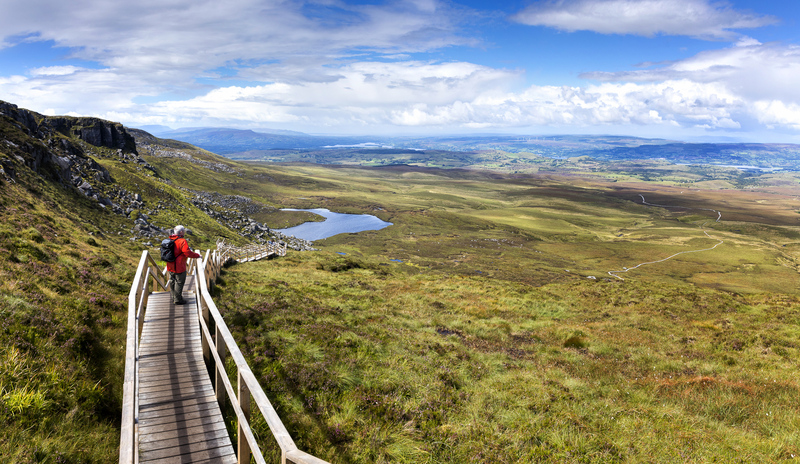 “Tourism Ireland will also be increasing its spend in the UK by about 30 per cent this year, with a new strategy set to be unveiled in February as well. “That said, we cannot be complacent, but we are confident we have the right strategy in place. “Tourism is an industry that employs 325,000 people across the island of Ireland, so it is vital we succeed,” concludes Gibbons. 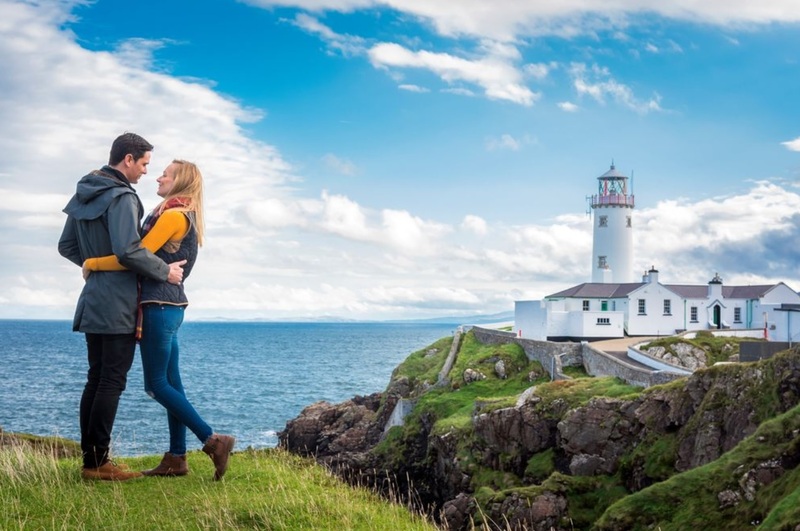 Tourism Ireland is the official government body tasked with the promotion of the island as a hospitality destination.